If you’re new to generating insurance leads online, then you’re in the perfect place! This page will give you all the information you need to decide if web marketing makes sense for you and how to get started. 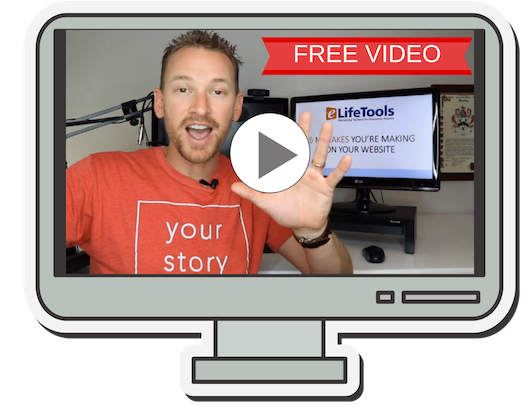 * Already have a site but it’s not producing leads? Click Here! We achieve the first by setting up a WordPress website and posting articles to the site. 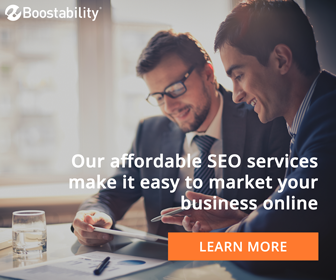 The goal is to create unique content, and show up in search queries for insurance in search engines like Google. When we show up in Google search, we get traffic. Next, we have to convert our site visitors into leads. The best way to do this is to offer insurance quotes on your site, such as those provided by Compulife, in exchange for contact information. Once you have your visitor’s name, phone #, and email, you can now call and make a sale. How Long Before I Will Get Leads? 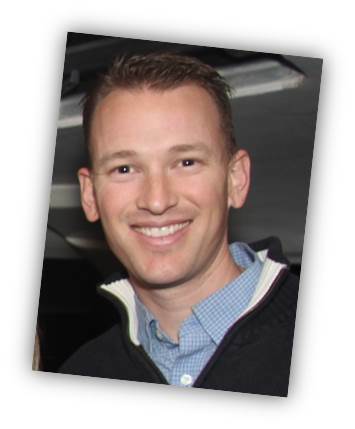 Most of the agents I help start seeing leads trickle in within the first 30 days of working on the site. Within 3 months, you might see 15-30 leads in a month. Of course, it depends on your time and effort. How Much Work is it? You should expect to set aside an hour or two per day for a couple weeks to get your site off the ground. Writing articles is the most time consuming piece, since I always recommend you write your own articles. How Much Does it Cost to Get Started? It costs as little as $4.99 per month to register a domain and buy hosting on Bluehost. Design can go anywhere from Free, using a free WordPress theme, to several thousand dollars. I usually spend around $300 on my initial site designs. You can also get 4 free months of Compulife’s quote form to add to your site. After that, it costs $199 per year. What If I’m Not a Good Writer? If you can talk to people about insurance, you can write insurance articles. Forget about everything you learned in high school English about writing. None of that applies to online article writing. The best articles are personal and conversational in tone. In my Site Builders Course, I also teach you what to write about, how to get started, and how to add length to your articles. If you still don’t want to write the articles, you can always outsource your posts to a writer on oDesk. In order to get traffic to your website, owning your own website domain is crucial. Setting up a website with Bluehost is easy. Really. I use them to buy (register) my domain name and for hosting. It costs as little as $4.99 per month and comes with a 100% money-back guarantee. 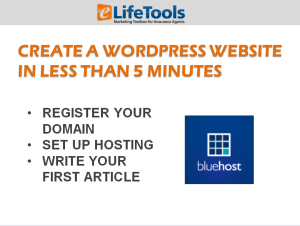 Once you’re set up with Bluehost, you can install WordPress with 1 click, and then you’re off to writing your first post. See the guide below. Get My New Agent Guide for Free! Before I let you go so you can begin creating your new website, I’d like to invite you to subscribe to my newsletter below. 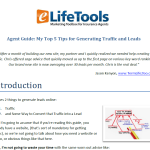 By subscribing, you’ll get exclusive online marketing tips straight to your inbox, plus updates when I’ve posted a new article on eLifeTools.com.